Here at Polinger Company, we pride ourselves on growth and development. For this reason, we are thrilled to welcome Maj-Lene Pedersen Keech as our new Senior Vice President of Residential Property Management! Maj-Lene is a skilled professional with over 20 years of multi-family experience and robust industry knowledge. 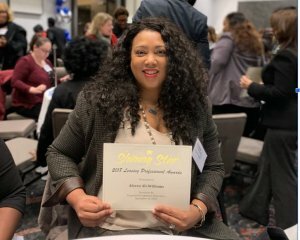 Maj-Lene earned her Bachelor’s of Science in Business Administration from Sierra Nevada College and her Master’s of Science in Real Estate with a concentration in Real Estate Development from Johns Hopkins University. Over the past 15 years, she has been a strong force in the Mid-Atlantic real estate industry, having held positions with Washington REIT, the Bozzuto Management Company, and most recently, as Senior Vice President with PRP Estate Management. Beyond the walls of the office, Maj-Lene is active in the real estate and property management industries. In the past, she served as President for the Institute of Real Estate Management (IREM)’s Northern Virginia Chapter 77. 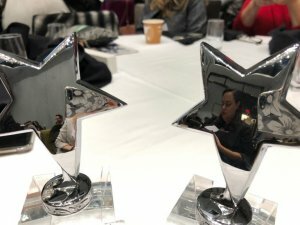 She is currently serving as the Director on the Executive Council for Chapter 77 in addition to serving on the Property Management Association’s PACE committee and she is a member of CREW Northern Virginia. Polinger Company manages more than 5,000 apartments and we are confident that Maj-Lene will bring each to new heights with her passion and dedication to providing residents with the best possible living experience. With Polinger her responsibilities include direction and oversight of our residential properties and marketing, along with personnel matters and owner relations. Maj-Lene also assists in the company’s apartment acquisition process, taking an active role in the evaluation, due diligence, underwriting and closing of investments. Welcome to the family, Maj-Lene! If you are interested in finding a beautiful apartment in a convenient location, discover our various apartment communities. To stay updated on the latest Polinger Company and industry news be sure to follow us on LinkedIn, Facebook, Instagram, and Twitter! 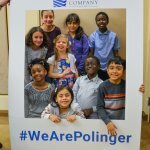 Polinger Company celebrated National Take Your Child to Work Day on Thursday, April 26, 2018, with an enthusiastic class of participants. Children from the marketing, accounting, operations, administration, and construction teams were present. After a breakfast of fruit and donuts, lessons were taught by each department to help the children learn each role. 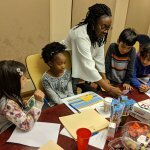 Afua Ofori, Director of Human Resources, conducted a welcome session acclimating the children to the basics of property management and how Polinger Company operates. They viewed a slide show presentation and learned the difference between commercial and residential properties. Katie Sichinava, Project Accountant and Julia Hoops, Project Accountant taught the importance of budgets and income. As a game, the children were given a monthly stipend and were able to choose how to spend it based on flash cards showing needs and wants. Surprisingly, vegetables were bought in addition to video games. Kim Cueva, Director of Marketing, showed the importance of a website and the internet. The children then created their own brochures based on what they believed was important to show a prospective renter. There was no shortage of creativity in the room. The children took a tour of the office and the outside grounds to help burn some energy. 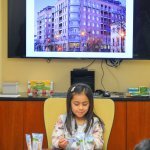 “It was a successful and very fun first “Take Your Child to Work Day” here at Polinger and we look forward to doing it again in the future,” said Ms. Cueva.